The IPS family would like to express our deepest condolences to you and your family on the passing of a husband, a father, a global statesman. As journalists, we find that few words can express our deep loss for a man who personalised and lived the vision and truth of a just and equal world. IPS honours Kofi Annan’s outstanding leadership in the pursuit of the very mission for which the United Nations was created: a world seeking global peace, political stability, recognition of human dignity and the pursuit of human development. 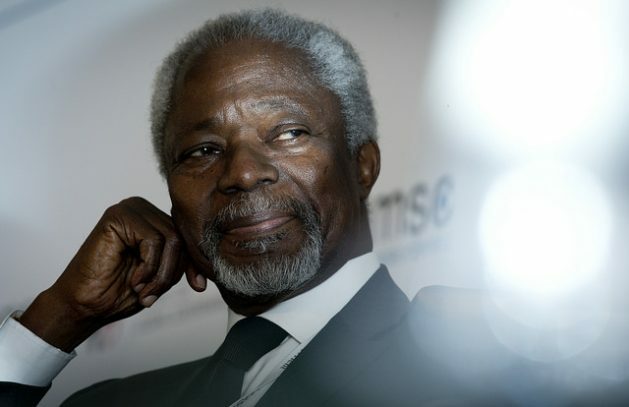 Through some of the greatest global crises of our time, Annan stood steady and firm, championing global peace and equality, even long after his retirement. No news agency has recognised more Annan’s commitment towards the advancement of the concerns of the world’s poorer nations in their fight against poverty and hunger, and their battle against the spread of HIV/AIDS. His firm commitment to environmental sustainability, his consistently strong advocacy of human rights, his promotion of gender empowerment and the attainment of a larger freedom for all are values and missions that run through the heart and soul of our organisation. Just as it ran through him. As this soul of matchless courage and integrity is laid to rest, we look to the stars and know, that energy cannot be created or destroyed, but merely changes form. And through this pain of a hard goodbye, we take up the energy and continue the services to humankind that Annan and IPS began at the same time.